The secret of chi kung, whether you are a beginner or more advanced practitioner, is practice. The trick is to find a routine that works for you. It’s important to remember that a practice session doesn’t have to be elaborate or take a long time; a little practice is always better than no practice. As your experience of chi expands and deepens, so does your desire to practice chi kung. In fact, chi kung should be one of the most enjoyable aspects of your day. Practice becomes easy for something that feels so good. 1. Relaxation (water element): This is a fundamental principle of chi kung. Think of the way water moves, like a river flowing down the mountain--effortless, fluid, unified, and powerful. This is the essence of the principle of relaxation. When you practice chi kung, you want to mirror the movements of water and feel you body moving fluidly. 2. Resiliency (wood element): Resiliency is the power that is reflected in trees--the combination of strength and flexibility. Think of bamboo in the wind, how it bends but doesn’t break, how it stays rooted and pliable at the same time. In chi kung we should embody this principle, feeling a sense of being grounded and flexible, strong and centered all at once. 3. Enjoyment (fire element): Enjoyment is so important in all forms of exercise and meditation. In chi kung feeling good and enjoying the movements, stretches, and flows helps circulate energy. When you force yourself to do exercise that you don’t enjoy, it goes against the flow. Enjoying your workouts and exercise helps to create a connection between the mind, emotions, and body so that harmony is created throughout the entire system. 4. Centering (earth element): Centering implies both a principle of movement for the body and an emotional feeling of being connected inwardly. This principle is connected to the earth element because it is a stabilizing force and cultivates a sense of feeling grounded. There is a sense of inner balance. During chi kung practice allow your body to move from the center, your lower Tan Tien or abdominal area. This allows the rest of the body to relax and flow. 5. Energy (metal element): The metal element is the element of the lungs. Chi means “life-force energy” or “life breath.” Chi kung uses the breath as a way to improve, cultivate, and transform energy in the body. Chi kung movements are synchronized with the breath as a way to relax the body, strengthen the tendons, create flow, and balance energy. Chi is energy, and the movements of chi kung are ways to cultivate this life force. The ultimate goal of practicing chi kung exercises is to become soft, supple, strong, responsive, full of vital life force, and pure like a child. Chi kung can be used for physical, emotional, and spiritual cultivation. 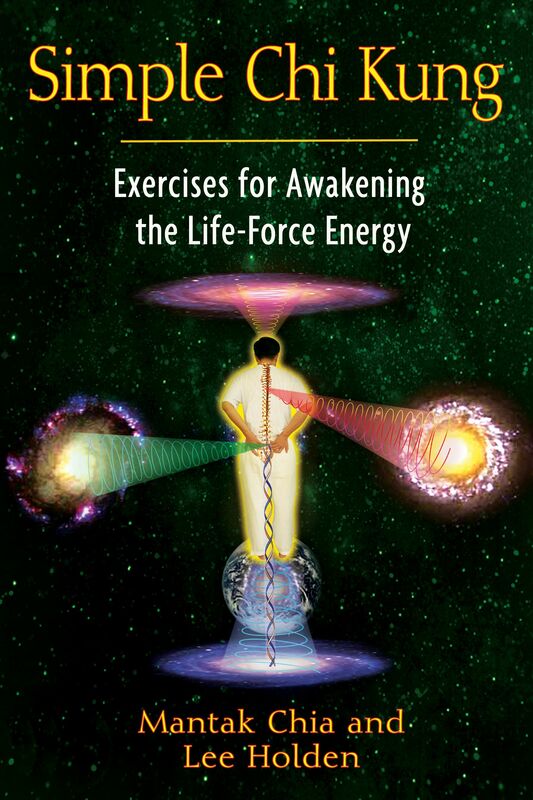 Although these exercises are surprisingly simple to perform, they are sophisticated and effective in reestablishing the harmony we’ve lost between ourselves and nature and the universe. Listen to the messages from your body as you do the various exercises. Pain is the body’s warning signal that you may be overdoing it. The goal is not to overstretch or to develop large muscles but to loosen the joints and relax the muscles so that the chi and blood can flow without obstruction. Don’t force yourself beyond your limits: less is better, especially at the beginning. If you feel any joint pain or discomfort while doing any of the exercises, back off until you feel comfortable. If you still feel strain or pain, discontinue the exercise all together. Be especially respectful of any injuries, chronic problems, or physical limitations you may have. If you are kind and gentle to your body, it will start to trust you and relax by itself. You will find yourself starting to loosen on a deeper level without having to force the issue. In this way you will develop naturally, gradually, and safely. When you do chi kung you learn to reorganize the way you stand, sit, and move. In particular you discover how to use the power of the lower tan tien, the perineum, and the spine to stand in a strong, stable, integrated way. You will see that many warm-up movements focus on training the waist for this reason. Bouncing the body can be compared to a brief ride on the subway. For those of you who commute, this can be practiced on the way to work as well. 1. Just relax the body while concentrating on opening the joints and bounce on the floor without any tension. 2. Let the vibration in the heels work its way up through the entire skeletal system: from the legs to the spine to the neck to the skull. Shoulders and arms should vibrate as they hang loosely by the sides of the body. To enhance this, you can hum a vowel to hear the vibration make the voice tremble as well. 3. Rest and feel the chi entering the joints. 1. Draw out your leg and opposite arm and kick out, letting go of any tension, pain, and stress. Repeat 30 to 60 times. 2. Then do the opposite leg and arm. Standing with feet together, hands on your knees, knees flexed, rotate both knees together, exercising your ankles and knees with clockwise/counterclockwise rotations. 1. Place the feet together. Bend the knees and place the palms lightly on the kneecaps. 2. Slowly and gently rotate the knees to the left. 3. Rotate the knees to the back. 4. Rotate the knees to the right. 5. Repeat steps 2 through 4 eight more times. 6. Now reverse direction and repeat nine times. Lee Holden is an instructor in meditation, Tai Chi, and Chi Kung who teaches workshops in the United States, Europe, and Asia. The author of several books on Chi Kung, he lives in the southern San Francisco Bay area.